Did you know that only 1% of the world’s whole water supply is fresh water and accessible for direct human uses? Isn’t that something to worry about? If you’ve ever been on social media, you might have noticed that there seems to be a “day” for everything – Friends Day, World Nutella Day, and Peanut Butter Day among other fun non-official holidays. 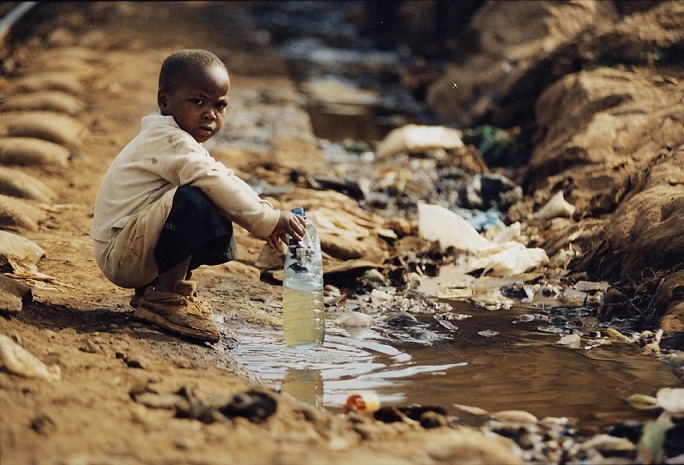 But there’s a serious one in March that has more of an impact than any other: World Water Day. On March 22, people around the world come together to recognize the fact that 750 million citizens do not have clean drinking water, and that it’s up to us to help out. According to Water.org, one-third of all healthcare facilities in low- and middle-income countries do not have safe water sources. “The water crisis is the #1 global risk based on impact to society (as a measure of devastation), as announced by the World Economic Forum in January 2015,” reports the website. You can put yourself in the shoes of others – and learn to appreciate the water sources you have – learn to live with as little water as possible. The Water for Waslala blog refers to the University of Villanova’s “Water Awareness Day” initiative, in which students took part by using only water from a single designated tank for their hydration needs. Try doing this yourself for 24 hours and imagine what it must be like to live under those conditions every single day – and often with dirty water instead of clean. Look around your home and see where you can begin saving water. Water – Use It Wisely has plenty of great suggestions, including running fewer and fuller loads of laundry and dishes, reusing your linens and towels instead of always using fresh ones, or even taking a “Navy-style” shower: “Wet your face and body, shut off the water as you shampoo and lather up, and then finish it all off with a quick rinse.” You’re still getting clean, but with a fraction of the water you’d use if you kept the shower running the entire time. It’s also smart to check your landscaping and see if you could cut down on water-draining foliage – choose plants that thrive in dry conditions instead, or even artificial greenery. Since Netflix is everywhere these days, we’re fortunate enough to have access to a number of interesting and educational documentaries about water. The Water for Waslala blog suggests FLOW, Tapped (which goes into detail about the impact of bottled water on the environment), and Blue Gold: World Water Wars. All of these features highlight the environmental and political costs of clean water worldwide, and they’re sure to capture your attention – and make you think. (Additionally, you can check out some documentaries about the meat industry and note how much water goes into producing steaks for dinner – it might inspire a more vegetarian menu on your table). There are more social networks out there than ever before, which means you have many different ways to get the word out about Water Conservation. Water.org has got sample images for your Facebook cover photo, as well as pictures you can clip to your Pinterest board and suggestions for a Twitter background change. The website also has a section where you can start up your own online fundraiser to complement your fundraising activities offline (think bake sales or athletic events) – perfect for linking across your social media. If you’re lucky enough to live in a part of the world that has nonstop access to safe, clean water, consider yourself fortunate – and able to help those in need. Take stock of ways you can save water at home, as well as organize creative fundraisers to support water-giving initiatives around the world. It feels good taking care of a supply we all couldn’t live without. How are you supporting Water Conservation?